Folda witch hunters' newest recruits. Cruel and callous interrogators of witches, Ghoul Gaolers inspire terror. Their mastery of creative ways of inflicting pain is infamous across the isles. 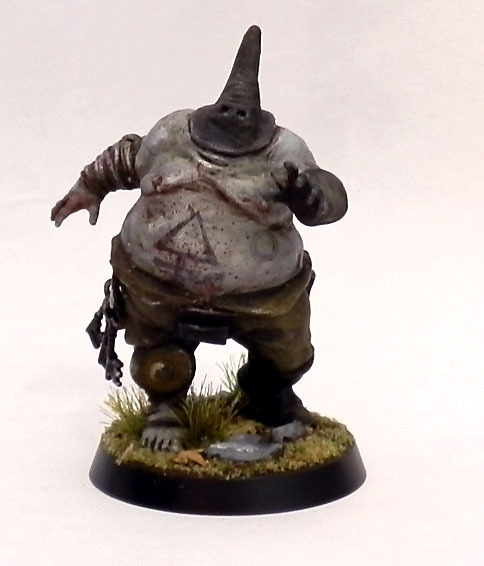 The model was based on a Bloater from Nurgle's Rotters Bloodbowl team. I deflated his gut, got rid of the shoulder pads and sculpted a hood. Keys came from the Nighthaunt range. The manacles and torture implements had to be sculpted from scratch. It was fiddly work and I wasn't sure I could pull it off, but they do look alright in the end. Just like their vampire overlords, ghouls can end up giving in to their feral side and gradually metamorphose into monsters with lupine features. This is the legacy of the pact made with the Duke of Wolves in the final days of the Ostrom. Janos utilises these agile predators for tracking his quarry. This conversion is based on a Pestigor from Nurgle's Rotters Bloodbowl team. Great dynamic pose. Wolf head was sculpted over the trimmed down original head. Hoofed feet needed to be turned into paws. Plus a few minor changes here and there. The Ghoul Witch Hunters got new heads. The helmets were cool, but when I put them next to the rest of the Folda models they lacked coherence. You can also see two more grisly sticks: a hag's severed head and another, bigger crown of thorns. Pretty menacing looking bunch- excellent work. The hag head on a stick might actually make it into one of my nightmares. This is my favourite stuff ever. Very nice work (as always). How did you make the keys and tools? Thanks! The keys are from a Nighthaunt model. The tools and manacles were carefully pieced together out of wire, green stuff and fishing float sleeves (which take form of little rubbery cylinders). There was plenty of cursing involved. They look great! A suitably dark and grisly theme and very fitting with the AoS28 style. Superb! Brave move to do away with the ghoul helmets (I really liked those! ), but they do look terrific unmasked. 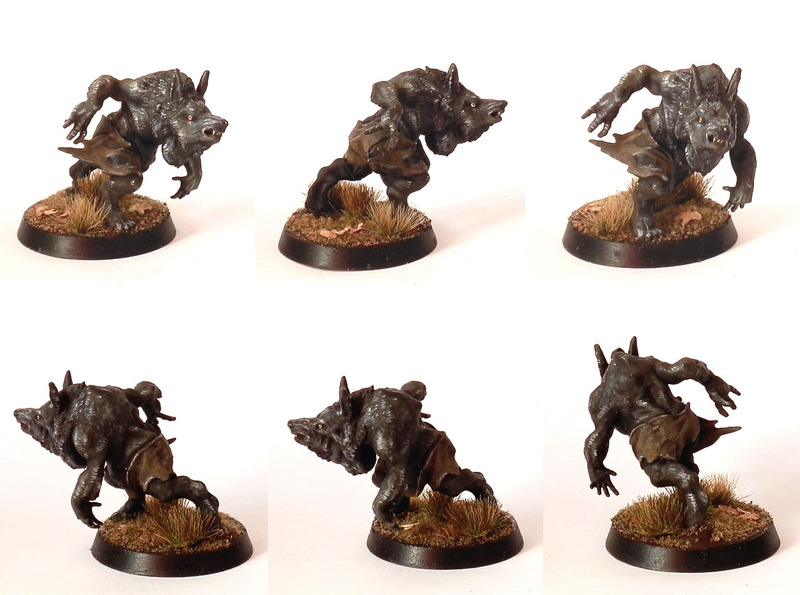 And great sculpting on the werewolf! Excellent. The ghouls are particularly good (or bad...?)! You're making a great job out of those Nurgle players! That bloater fits perfectly for such an interrogator. That werewolf is also an awesome idea, much more convincing in this role than as a pestigor BB player. Absolutely fantastic work. The skin tone looks incredible. Lovely work as ever Ana. Your conversions of the already sweet Rotters sculpts is impressive. Simple changes, but with amazing results.